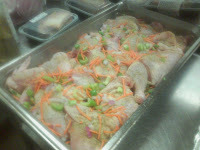 David breaded and fried the chicken while I chopped and prepared a mirepoix of Onion, Green Onion, Carrots, and Celery. 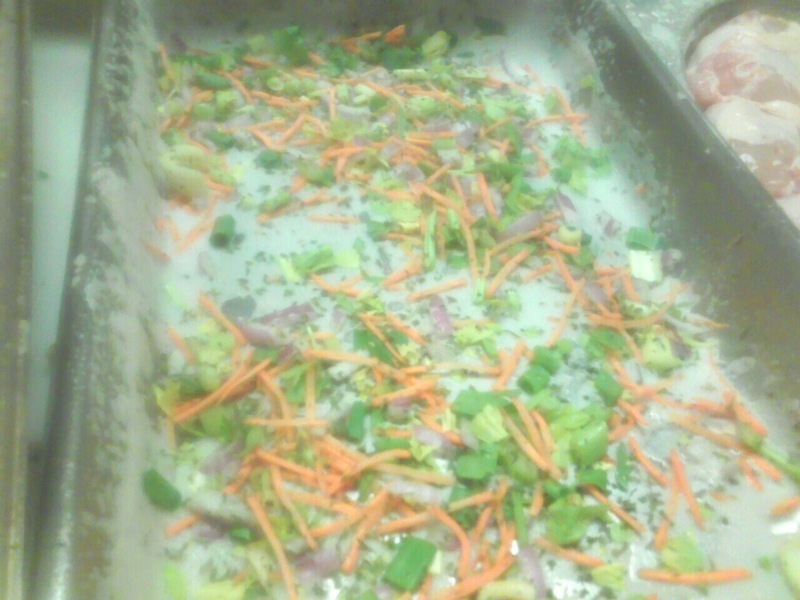 Most of the vegetables for the mirepoix were already prepared as we used them from the salad bar. Though we were out of celery and this I had to prepare. Once my vegetables were prepared, I took the restaurant pans, sprayed them down with pan release, sprinkled about 3/4 to 1 cup of mirepoix into the bottom of the pans and placed my chicken pieces into the pans. 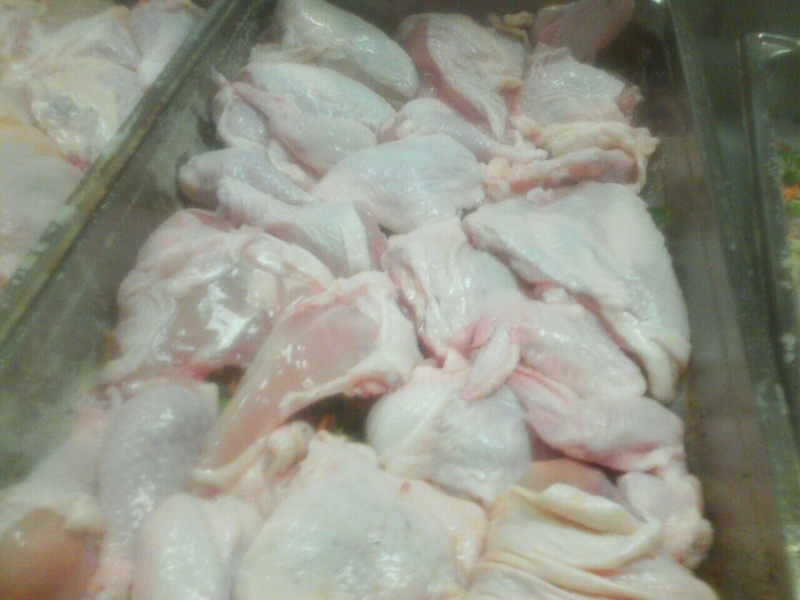 Due to lack of pan space, I had to crowd the chicken pieces, normally when baking chicken pieces you would leave space between the pieces. I then put another cup or so of the mirepoix over the chicken with a 1/4 cup of chicken broth and covered the pans with heavy aluminum foil. Covering the pans, I then baked them for 40 minutes at 350 degrees farhenhiet and then uncovered the pans and baked an additional 20 minutes. 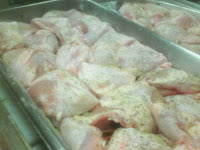 The recipe that I based my preparation of this Baked Chicken was Roast Chicken with Pan Gravy. Starting with my Mirepoix of Onion, Green Onion, Carrots, Celery and freeze dried parsley. 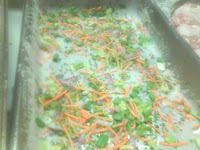 I added a dusting of the Schnuck's Herb Roasted Chicken Seasoning, more of the mirepoix and a 1/4 cup of chicken broth.